Client charged with first offense DUI with preliminary breath test (“PAS”) results of .13/.11 BAC, and a subsequent blood test result of .10/.10 BAC. The issue was that the arresting officer had no reasonable suspicion to pull client over. All evidence was subpoenaed and carefully analyzed. Luckily, there was a dashcam video that showed the truth. Officer was subpoenaed to testify at the DMV hearing, at which time he was impeached with the video. The DMV hearing officer set aside the suspension on the spot, which is highly unusual. In court, a motion to suppress evidence under PC section 1538.5 had been filed and a hearing was set. To the District Attorney’s credit, after reviewing the officer’s DMV testimony and the video, she agreed to fully dismiss the case. Client avoided any conviction on his record and he did not have to suffer through any suspension of his driving privileges. Client is facing a DUI involving a traffic collision with a .09/.10 Preliminary Alcohol Screening test (PAS) and a .08/.08 Breath test. After presenting expert toxicologist’s testimony and credible testimony from client regarding his drinking pattern, the DMV hearing officer issued a set aside of the suspension. Since client is a real estate agent, a suspension would be devastating. The Court case is still pending but whether case proceeds to trial or is resolved with a reduction of the charge, the DMV set aside means client will not have to experience any mandatory minimum license suspension. 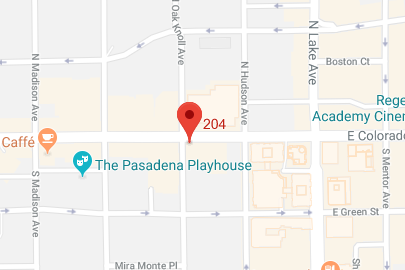 Client was arrested for a DUI in Pasadena, California and a breath test and preliminary test showed a BAC of .09 percent with a .08/.09 about an hour later. She was required to drive far distances every day for work and school and a license suspension or DUI conviction would have resulted in the loss of her job. After presenting a toxicologist’s testimony, evidence of a credible drinking pattern, and revealing accuracy records for the breath test demonstrated the readings were about %5 high, the DMV set aside the suspension. In court, we were prepared to go to trial but client was happy to accept an offer of exhibition of speed which is a non alcohol related traffic offense with no suspension, no class and no ignition interlock device required. Client’s court fines were also dropped from $1850 down to about $625. This was a huge win and client's job and career was saved. Client charged and held to answer at preliminary hearing for committing an arson of a vehicle as an aider and abetter. After nearly 2 years of negotiating, client was finally offered what he deserved--a misdemeanor. Client was able to keep his job and will not lose his pension. Client was arrested for a DUI with a blood alcohol level of a .11 percent. Client was primarily concerned with an immigration issue and the effect an IID would have on his job. Ultimately, the DA agreed to reduce the charge to a wet reckless with a $100 fine. He did not have to install an ignition interlock device, did not have to suffer a court suspension on his license and his total court fines were reduced by about 75 percent. Client had a .08 blood alcohol level after she was pulled over for stopping over the limit line at a traffic light. After presenting evidence and testimony at the DMV, we got a disappointing notice stating the suspension was issued. The hearing officer flat-out ignored the evidence we presented and the indisputable facts, and issued a ruling that appeared to be an abuse of discretion. However, that suspension was lifted and a set aside was promptly issued after securing a NOT GUILTY verdict in court by convincing the prosecutor that not only is there insufficient evidence of a DUI, but the evidence tends to show the accused was under a .08 BAC at the time of driving. Client was spared the financial expense of a typical jury trial since we were able to secure the verdict through a quick court trial. This process reversed the suspension issued by the DMV and the client does not have a DUI on her record, does not have to do a DUI class or install an interlock device in her vehicle. Client was charged with driving under the influence with a blood alcohol level of .12 percent. He was weaving and failed to complete the field sobriety tests to the satisfaction of the officer. This client was a military veteran. After a lot of investigation and research, it became clear that he deserved to be given the chance to have his charges dismissed pursuant to a new statute, PC 1001.80. A motion was filed, the court considered the legal arguments and all the facts of the case, and agreed to grant the motion. Client is currently on diversion, and it is expected that in April of 2017, his DUI charges will be dismissed if he does not violate the law and continues to attend counseling. Client was arrested for a DUI and had a prior alcohol related driver license suspension from when he was a juvenile. He faced a 2 year mandatory "hard" revocation of his license. After subpoenaing all the evidence including the audio belt recording, it became clear that the officer did not properly admonish client regarding the consequences of refusing or failing to complete a chemical test. The Officer was frustrated at the driver's uncooperative demeanor and refusal to perform any field sobriety tests without an attorney. When placed under oath at the DMV hearing, the officer ultimately admitted he did not properly admonish the client; an admission he would have been foolish to deny considering he would have been badly impeached by the audio recording. If client had not requested a DMV hearing or sought the assistance of an attorney within 10 days of the incident, he would have lost his hearing rights and the dmv would have issued the suspension based upon the police report. This was a huge win and client's job and career was saved.